Bangladesh crossed over from a low-income economy to a lower middle-income economy in 2015. The country has already fulfilled all the criteria of graduating from least developed country (LDC) to a developing country. Making this growth sustainable is challenging in the face of extreme adverse climate variability – frequent storms and tidal surges, flooding and droughts. Climate change is a serious threat to sustainable development. If nothing is done by 2050, climate change impact could make an additional 14 per cent area of the country extremely vulnerable to floods and dislocate more than 35 million people in the coastal districts. At the macro-level, combined effects of climate change could range from a loss of 1.3 per cent of gross domestic product (GDP) per year in a moderate climate change environment to 2.0 per cent of GDP per year in an extreme climate change environment. In order to materialise the goal of becoming a developed country by 2041, addressing the likely impacts of climate change calls for an integrated approach for future land and water management in relation to water safety, agricultural growth and food security. The recent and future anthropogenic changes in the hydrological cycle due to climate change, construction of dams and barrages in the upstream countries in combination with increasing water demand are expected to make future water governance and management even more challenging. Climate issue is all-encompassing and often requires long time to understand its patterns and impact, and therefore, a long term plan is needed to address climate adverse impacts. A number of sectoral plans have been developed so far in Bangladesh, but they tend to be short term oriented and are independently run by different ministries. It need not be emphasised that the issue, given its crucial importance, requires long term strategies and multi-sectoral coordinated policy management. Being one of the largest as well as most dynamic deltas of the world built by the confluence of the three mighty rivers– Ganges, Brahmaputra and Meghna– the country faces major inter-related delta challenges in water safety, food security and land degradation, and is prone to natural calamities such as floods, river erosion, cyclones and droughts. The challenges are both man-made and natural. The country is equally characterised by its resilience, the ability to adapt to changing climatic and economic conditions and advantage gained from the abundant natural resources available in the delta. In view of the long-term challenges presented by climate change and natural hazards, the General Economics Division (GED) of the Bangladesh Planning Commission has formulated ‘Bangladesh Delta Plan (BDP)-2100’ with support from the government of the Netherlands. The Memorandum of Understanding (MoU) signed between Bangladesh and the Netherlands in 2012 on delta planning laid the foundation of BDP-2100.The preparation of BDP-2100 was officially launched in August 2014. Management of this delta has therefore always been a key concern in both political and development agenda since long. 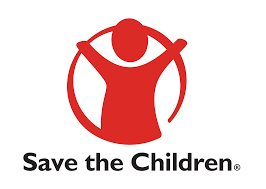 Almost all the political movements during the pre-independence period invariably included demand for flood control, disaster management and irrigation measures; it is so because those were the major causes of extreme poverty prevailing at that period within this delta. The election manifesto of the United Front in 1954 advocated for protection of the country from extreme floods and famine and improving irrigation systems. Father of the Nation Bangabandhu Sheikh Mujibur Rahman was always committed to develop flood control, drainage and irrigation facilities in the country and repeatedly demanded implementation of the Krug Mission report. Immediately after independence, Bangabandhu established the relief ministry giving special attention to building a disaster resilient country through minimising losses of lives and properties caused by different natural hazards including cyclone and floods. He established Bangladesh Water Development Board (BWDB) in 1972 materialising the recommendation of the Krug Mission, bifurcating the then East Pakistan Water and Power Development Board (EPWAPDA) to accelerate the implementation of the flood control, drainage and irrigation measures. He took keen interest in solving the transboundary water issues and established Joint Rivers Commission on a permanent basis in 1972. Bangabandhu had installed earthen forts locally known as ‘Mujib Killa’ in coastal regions aiming to provide shelter to coastal flood and cyclone affected people along with their livestock. The First Five Year Plan of Bangladesh (1973-1978) that was prepared under his guidance as the Chairman of the Planning Commission put strong emphasis on sound management of water resources. 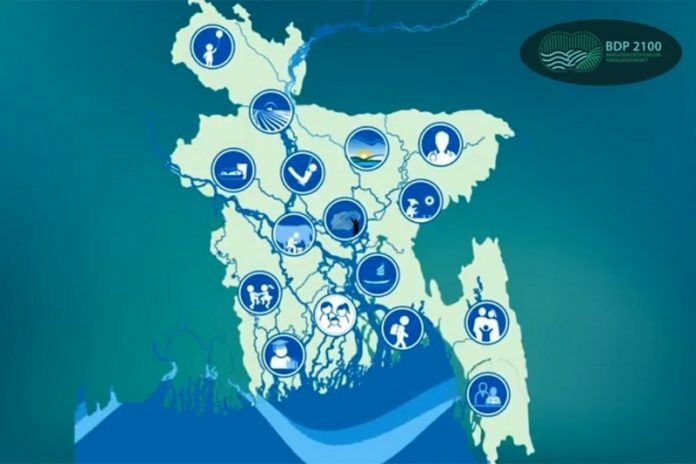 Many of the strategies and policies for sound management of water resources highlighted in the first five year plan are as relevant today as they were then suggesting the far-sightedness of Bangabandhu in identifying the need for holistic management of water resources and flood management. BDP-2100 has been conceived as a techno-economic, long-term, holistic, water-centric integrated plan. An interactive planning process has been followed for the finalisation of this mega plan over last four years. BDP-2100 focuses on how to enable socio-economic development under uncertain changing conditions, especially regarding climate change and scarce water resources. The plan is holistic, considering many themes and sectors and bringing together individual strategies as well as integrated ones for the whole country in a single plan. BDP-2100 sets up a long-term vision for the evolution of the Bangladesh Delta by the end of the 21st century towards ‘achieving a safe, climate resilient and prosperous delta’. As steps to reach that vision, it envisages short to medium term goals to achieve upper middle income status eliminating extreme poverty by 2030 and become a prosperous country by 2041 with the longer term challenge of sustainable management of water, ecology, environment and land resources in the context of their inter-relation with natural disasters and climate change. The BDP-2100, therefore, seeks to ensure long term water and food security, economic growth and environmental sustainability while effectively reducing vulnerability to natural disasters and building resilience to climate change and other delta challenges through robust, adaptive and integrated strategies and equitable water governance. Socio-economic transformation has been visualised in this plan keeping in consideration climate change as an exogenous variable in growth equations. Implementation of the BDP-2100 involves total spending on delta-related interventions, through new projects and maintenance of new and old projects, which will gradually increase up to a level of 2.5 per cent of GDP per annum by 2030– of which 2.0 per cent of GDP would be from public funding and rest 0.5 per cent would be from the private sector. The strategy for public funding involves a combination of tax financing, application of cost recovery based on ‘beneficiary pays principle’ and mobilising foreign funding including tapping the global Green Climate Fund (GCF) initiative. The BDP-2100 Investment Plan up to the year 2030, prepared in cooperation with World Bank group, consists of a total of 80 projects: 65 are physical projects, and 15 are institutional and knowledge development projects. Its total capital investment is estimated at Tk 2,978 billion ($37 billion). The investment plan projects have been selected following multi-criteria analysis and in-depth consultation with the stakeholders. The six hotspots are i) Haor and Flash Flood Area, ii) Coastal Zone iii), Chattogram Hill Tracts, iv) Urban Areas, v) Drought prone Areas, vi) River Systems and Estuaries. BDP 2100 took almost four years to give it a final shape to kick off. This comprehensive, techno-economic mega plan stretching a period to the end of the current century is the best gift to the future generations by the present generation.